Rabbi Chaim Kanievsky and Rochel Imeinu davening for Klal Yisrael - will your name be on the list? As Mar Cheshvan enters, the yartzeit of Rochel Imeinu is approaching, and people from the all over the world will travel to daven on this very auspicious day at her grave in Bethlehem. 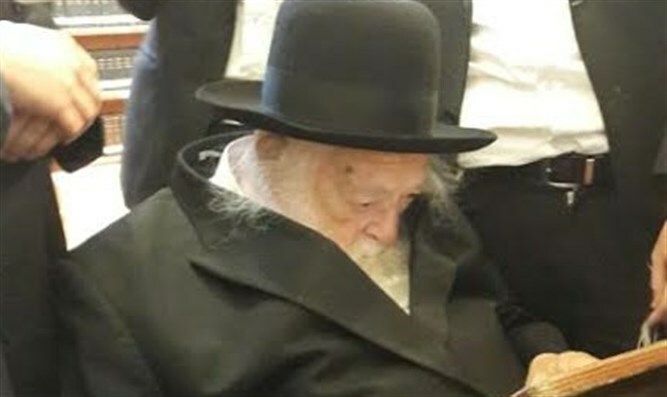 Rabbi Chaim Kanievsky has mentioned on various occasions that Kever Rochel is, specifically, the choicest place for tefilla. That is why on the Shabbat of Rochel Imeinu's yartzeit, Rav Chaim will daven in shul for those who donate to Kupat Ha'Ir and will be sending a special shaliach to daven for the same list at the kever. Those who donate will be receiving an incredible zechus -- to be in the tefilos of Rav Chaim, to be among those who daven at Kever Rochel on her yartzeit, and to support the thousands of families suffering in poverty in Israel. Those who give $180 will receive a Mishaberach personally from Rav Chaim, as well as having their name added to the list of the special shaliach. THERE CAN ONLY BE 250 NAMES ON THE LIST. Mother Rochel is crying for her children. Please give what you can.